So if you can muster up a teensy bit of faith... read on. Luke 1 will remind you of what God is like, who He is, what He has in store for those who believe in what He says. It's a major faith builder for me, and I hope it will be for you as well. I included the whole chapter below the video for you because there are 2 great stories, one of which is an old woman who could never conceive! And what a great time, during the holidays, to remind ourselves about Christ's conception and birth, about the incredible faith His earthlymother and father had, about the beautiful story of His cousin's conception! Also, you know I love sharing resources with you! 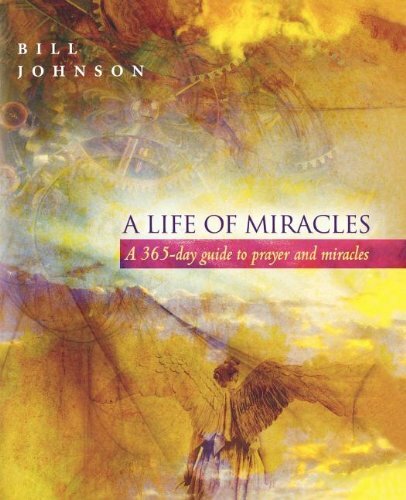 Here's a great book by Bill Johnson that will absolutely restore your faith in miracles. I love it because it's short excerpts from 3 of his books and there are lines for notes. If you're low on faith or you just need a spiritual pick-me-up... this book should absolutely be your next devo!! Watch the video for a recap of scriptures and some encouragement while ttc. Luke 1:45 (NIV) "Blessed is she who has believed that the Lord would fulfill his promises to her!"